The new Panasonic compact Bluetooth speaker SC-MC10 can transmit the sound from Television wirelessly, so as people with hearing problem or aged people can listen to the TV sound clearly from the speaker. The transmitter is connected to the earphone output of the Television. 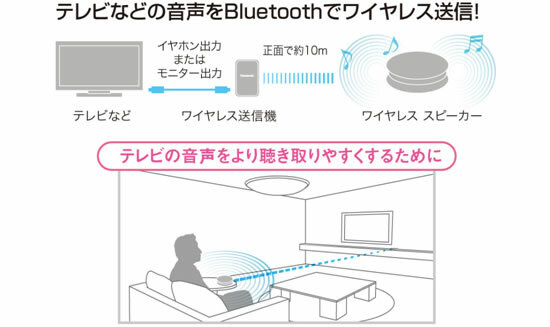 It can transmit wirelessly to the speaker up to 10 meters away. 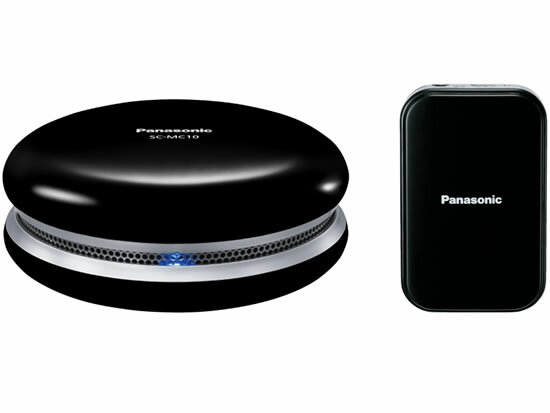 The Panasonic SC-MC10 wireless mini speaker system Conform to the 2.1 + EDR Bluetooth, profiles corresponding to A2DP. Also support the copyright protection of the SCMS-T. Audio codec is SBC. The compact speaker measures 103 × 41.9mm and works on two AA cells or from mains power. Using Panasonic nickel-metal hydride rechargeable batteries you can use the speakers continuously for approximately 6 hours. The maximum output 1W × 2ch and 1% total harmonic distortion. The Panasonic Bluetooth speaker SC-MC10 with DSP is ideal for senior citizens who want to enjoy the digital audio clearly while watching TV programs like news, music, drams etc. 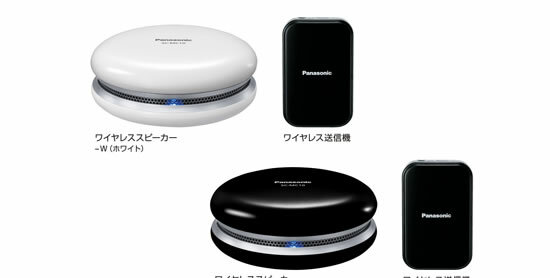 Panasonic compact Bluetooth speaker SC-MC10 will be available in Japan from June 14th in colors-White and Black. The speakers will cost around approximately 15,000 yen ($188).